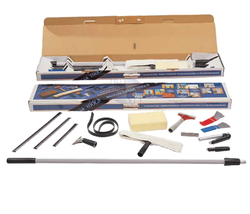 Leading Manufacturer of telescopic aluminum pole, glass washer, ss glass scrapers, glass care cleaning kits, stainless steel glass squeegee and dust brush from Bengaluru. Our organization is one of the prominent manufacturers of Telescopic Aluminum Poles. 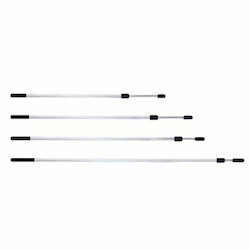 These poles are highly effective in cleaning the desired surfaces. Our packaging experts use best quality nylon bags in order to ensure delivery in a safe and damage-free condition. We put forth Glass Washer is meant to provide glasses with shiny and squeaky-clean finish. These are made using best quality components that are sourced from prominent vendors of the market. In addition, these products are packaged in high quality packing material in order to ensure their safety in transit. We are one of the leading producers of SS Glass Scrapers that are appreciated for their extra power. 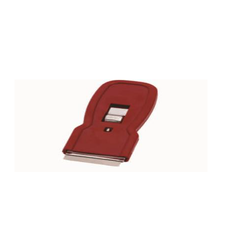 These are endorsed with ergonomic two-component handles and have spare blades measuring tr100 (10cm), tr150 (15cm). Our products are made in accordance with the prevalent industry standards. We bring forth Glass Cleaning Kits that are used for cleaning glasses all sizes and dimensions. These are appreciated for effectiveness and efficiency and are in great demand in luxury hotels, corporate offices and individual homes. Our professionals are capable of providing these in alliance with the specifications provided by the customers. 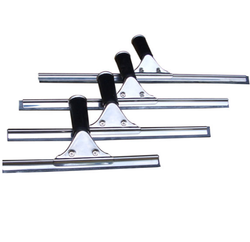 We provide Stainless Steel Glass Squeegee that is made in order to suit the needs and preferences of a variegated clientele. These are made in alliance with the current trends prevalent in the market and are offered at highly affordable rates. Our professionals ensure that these adhere to international standards of quality. Our expertise is showcased through products like Dust Brush that are in great demand in the global market. These are meant to decrease the manual efforts put in by human beings and are highly efficient in cleaning surfaces. Clients can avail these from us at reasonable costs. With the help of our foresight, we have manufactured an efficient range of Fan Blade Brush. 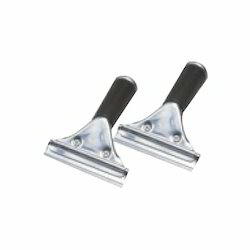 These are used for cleaning wide surfaces with minimum manual efforts. Moreover, there is a huge demand for these at a global level and clients can avail these from us at highly reasonable prices. We offer Plastic Glass Scrapers that are made using 100% unbreakable plastic material. 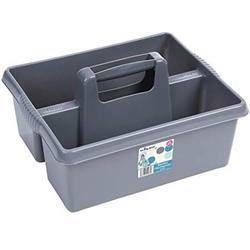 These also comprise basin with hand-grip, which in turn makes these easy to carry and highly portable. 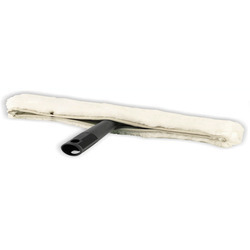 There is a huge demand for these for the purpose of carrying cleaning articles like glass washer sleeves, water, scrapers and squeegee. Overall functionality of these is increased with the help of sturdy castor wheels. 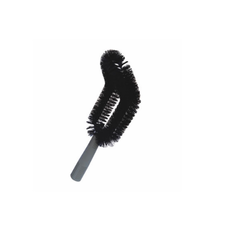 We are offering Dust Brush to our clients. 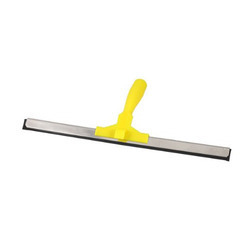 We are offering Plastic Glass Squeegee to our clients. 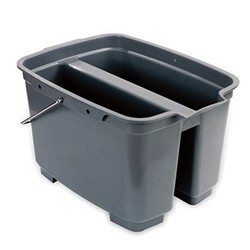 We are offering Handy Caddie Basket Large to our clients. 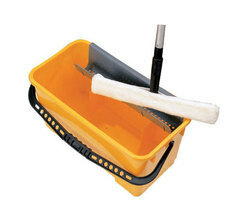 We are offering Professional Bucket to our clients. We are offering Two Level Barrel Bucket to our clients. Looking for Glass Care Accessories ?